Does Your Team Have a Bad Apple? A fascinating recent study has shown that a single, toxic team member can create group team wide dysfunction and breakdown. We have all worked in teams where there is one “difficult” person. They seem to take up a disproportionate amount of the teams time and energy. Conversations with them feel “heavy” and they tend to sap your energy. There are a number of manifestations of this phenomenon, from the passive-aggressive group eroder, the blunt/rude dominant, the controller, the slacker, the anti-establishment guy, the divide-and-conquer schemer, the arrogant fat head… I am sure some of these will be familiar. So, if we sometimes have to work with this sort of person, what impact does this have on us as a team? This typically isn’t really ever measured or understood. Most teams just put up with the difficult person, citing personality eccentricities, and just tolerate them (often with a sigh or a roll of the eyes). Often teams will look to someone more senior in the organisation to deal with the difficult person. 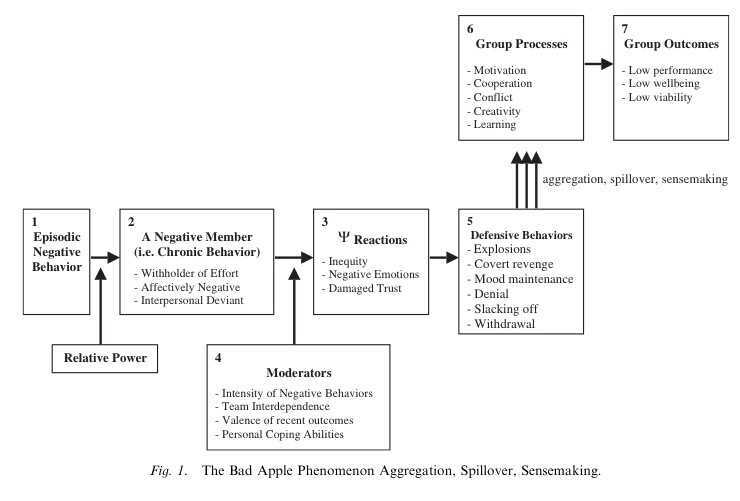 Will Felps, Associate Professor of Organization & Personnel Management at Rotterdam School of Management wrote a fascinating paper titled “How, When, And Why Bad Apples Spoil The Barrel: Negative Group Members And Dysfunctional Groups“. The paper discusses how, when, and why the behaviours of one negative group member can have powerful, detrimental influence on an entire team. In other words, how one bad apple can ruin the entire group. The findings are utterly fascinating. The Depressive Pessimist – will complain that the task that they’re doing isn’t enjoyable, and make statements doubting the group’s ability to succeed. Most research to date had assumed that groups had the ability to overcome bad apples. 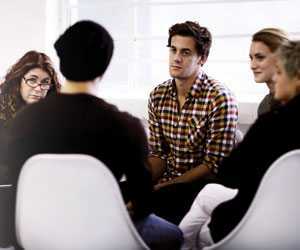 It assumed the power of the group would override the bad apple and force them to change their behaviour. But, Felps findings proved otherwise. Invariably, groups that had the bad apple would perform worse. Bad apples had a significant impact on the group, with these groups performing 30 to 40 % worse than groups without a bad apple in them. The ability to get along, share work and collaborate significantly dropped in groups with a bad apple. That’s no surprise right? We have all worked in these groups and would expect productivity to be lower. But here’s the rub. In groups with a bad apple, other team members begin to take on the bad apple’s characteristics. When the confederate acted out one of the three personalities, the other team members acted the same way. When the bad apple was a jerk, other team members would begin acting like a jerk. When he was a slacker, they began to slack, too. Even worse, they didn’t just act this way to him. They acted this way towards all other team members. In other words, one persons’ bad behaviour has a ripple on effect propagating that type of behaviour throughout the team. This is an immensely important discovery. 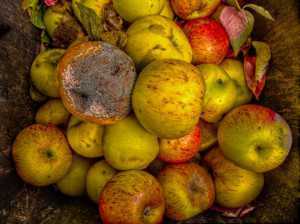 One bad apple can cause rot in the entire cart by altering the behaviour of everyone. Interesting, there was one exception in the experiment. One group performed very well, despite having a bad apple (confederate). The difference? This group had a leader with strong skills in diffusing conflict. Remind you of one of the key roles in Scrum? Have a listen to this recording from the “This American Life” show. It’s an absorbing interview with Felps. Nothing – live with it. Clearly not a good option. Preventative action – as a team define an agreement on what sorts of behaviours would make our team powerful and what we can count on from each other. We create a team artefact, often called a Social Contract to capture this. I will discuss this more in post three in this series. If behaviour slips off track then we can confront them about the behaviour – what Felps’ called “motivational interventions”. Reject them out of the team, for the sake of the Team. Is this hard? Yes – it is very difficult but nobody said this way easy. We know values and behaviours impact teams and as post two in this series will show, negative emotions kills teams. Motivational interventions are acts of teammates that attempts to change negative behaviour via influence. He shows how this is a common and effective approach to deal with The Slacker and The Jerk, but is not so successful on the Depressive Pessimist. Team members tend not have the techniques required to resolve a teammate’s negative moods, and so tend to simply reject them rather than attempt to motivate them. Note – a motivation intervention or rejection requires that teammates have some power and skills. A good social contract and a good facilitating Scrum Master can help with this. Next post, I will look into an incredible discovers in the world of social psychology – mirror neurons. These incredible little things make us experience other people’s emotions as if they were our own. Perhaps this can go some way to explaining Felps’ findings. Edwin Dando is a Consulting Manager at Assurity Consuting Ltd. 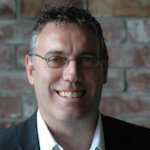 He has spent 12 years applying agile techniques to help organizations achieve business agility. His key area of skill is in teaching coaching and application of agile techniques. He focuses on creating transparency, which in turn creates a culture and the information teams needs to reach high-performing states. Passionate about bringing humanity back to the workplace and values-based business, Edwin has worked with large corporations, SMEs, and start-ups. He has founded 5 companies and sold two of them. He is energetic, motivated, focused, and slightly crazy. A Professional Scrum Trainer with Scrum.org, Edwin is also a Certified ScrumMaster (CSM), a Certified Scrum Professional (CSP), and a PMP (Project Management Professional); he has many other credentials as well. He pioneered a concept in New Zealand called Mentored Learning to combine training, following by mentoring and coaching to deliver long term education outcomes, as opposed to just training.